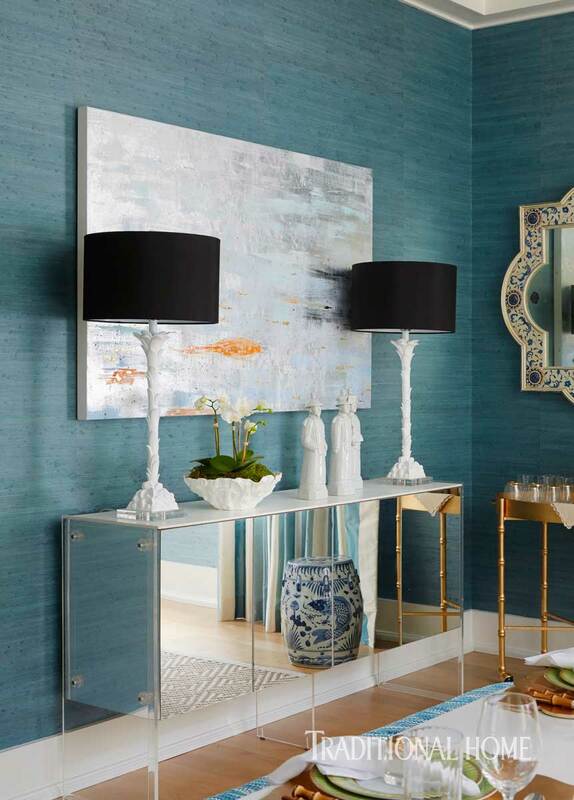 Airy foyer embraces blue-gray grasscloth wallcovering by Thibaut and white wainscoting by Elissa Gray Design. 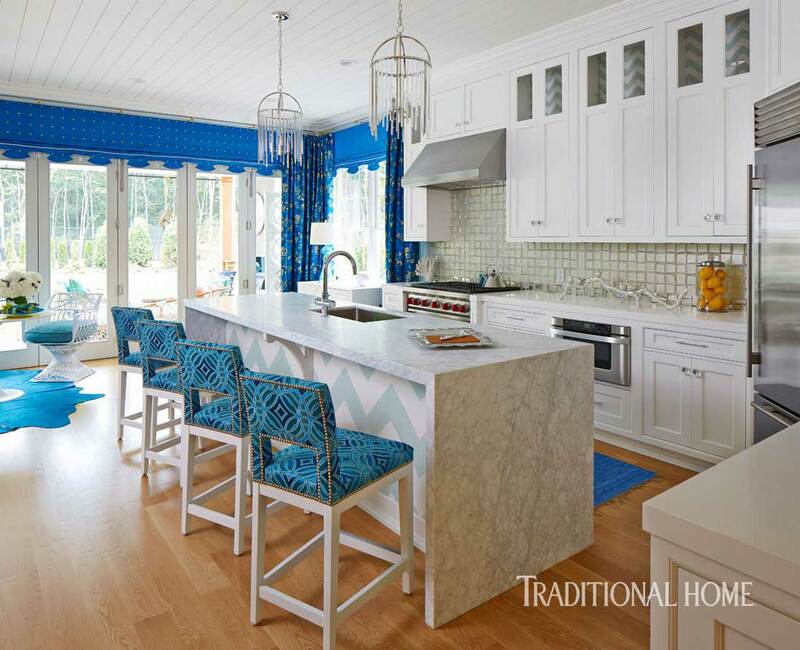 An elegant and spacious barn-style house built by Christopher Tufo Design & Build was transformed by 26 designers who created a luxurious summer retreat that invites rest and relaxation from a hectic lifestyle. 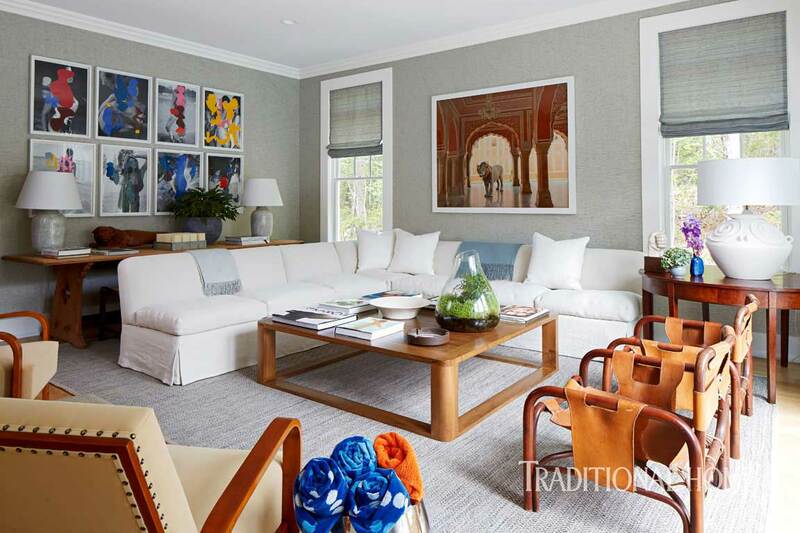 This 2015 Hampton Designer Showhouse project, now in its 16th year benefits the Southhampton Hospital. 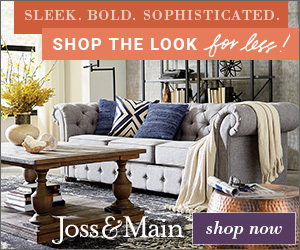 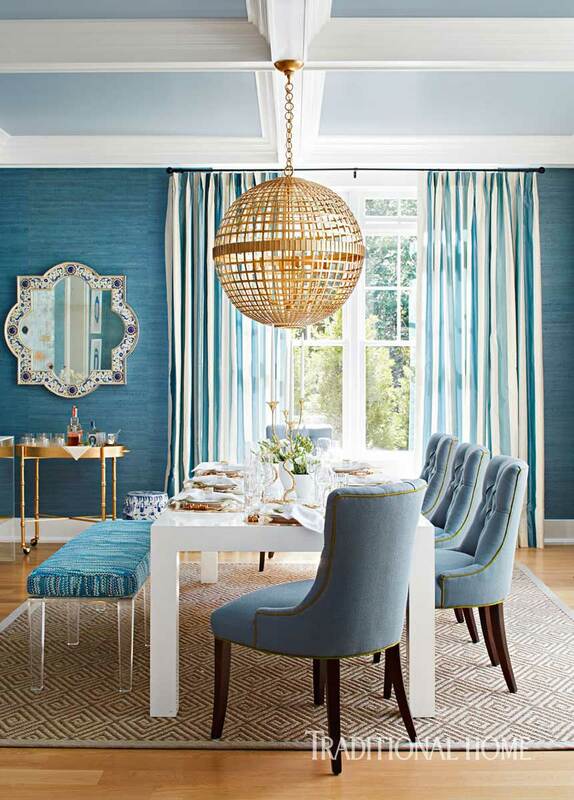 Filled with design inspiration and current decorating trends such as wallpapered walls, glamorous pendant and chandelier lighting, metallic painted ceilings, vintage furnishings, custom window treatments and a combination of vivid and soothing color schemes and so much more. 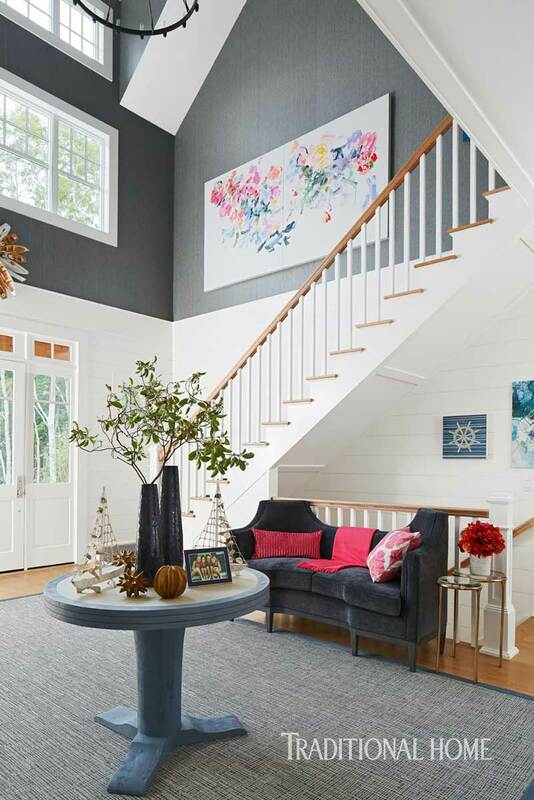 Take note of the details and what design elements you can apply to your home and future decorating projects. 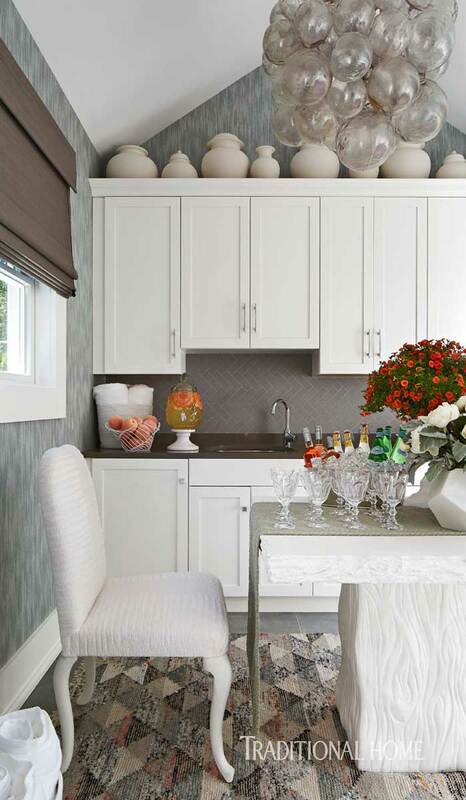 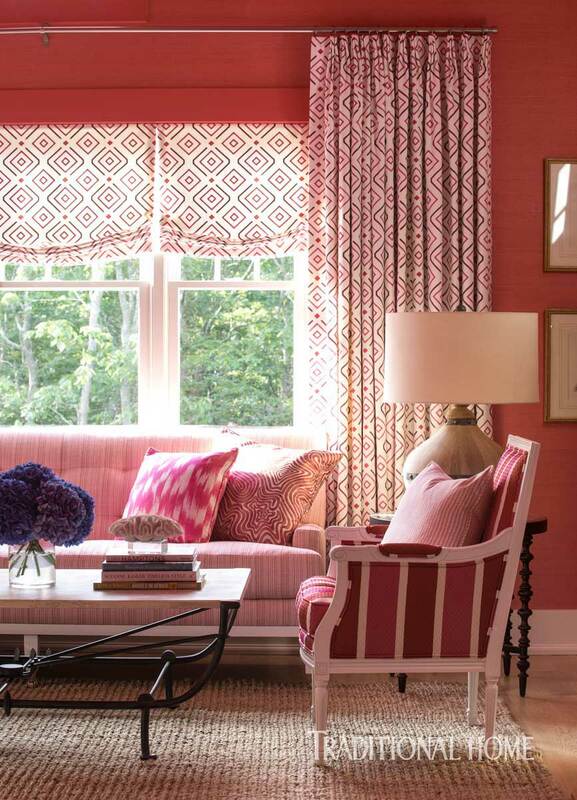 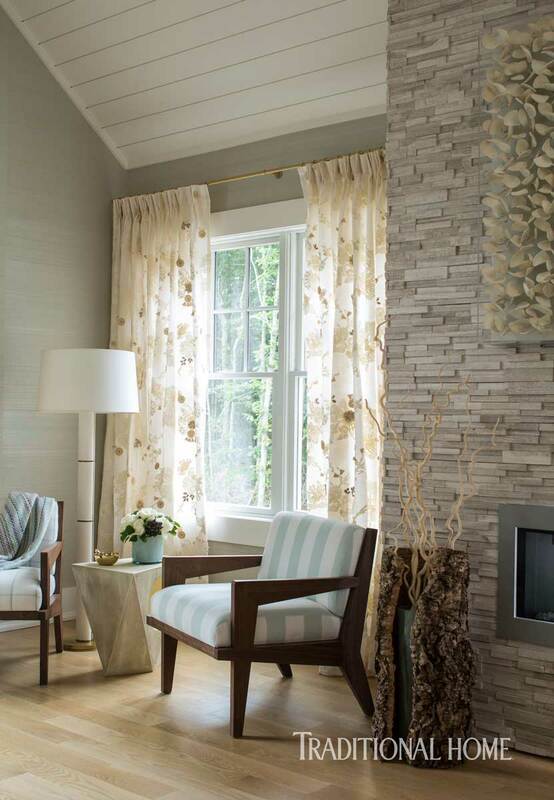 To view the entire 2015 Hampton Designer Showhouse please visit Traditional Home.